Pub | I'm hard of hearing, so what? 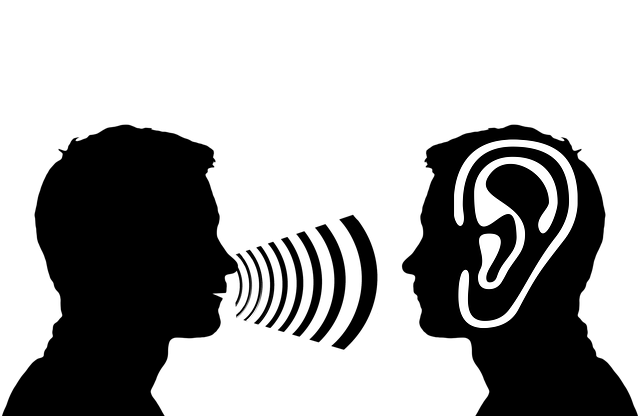 Pub – I'm hard of hearing, so what? Every now and then my husband and I allow us a visit to a pub. Usually we go there in time to get a seat and then eat something. Afterwards it’s time to watch football, often in the company of one of our friends. After all, football in a pub is something quite different from watching TV at home! Not that I’m a big football fan myself, although I can appreciate an exciting game. But for my husband, the Champions League is a good excuse to meet with friends from time to time. And sometimes I come with him. Not too often, because it’s too loud and crowded for me, especially when it comes to important games. I do think that my husband should sometimes be among friends without me. He then conducts completely different conversations than when a woman is present. And that’s a good thing. There is always a special, intimate atmosphere in the pub. Well, one pub isn’t the other, but most of them have one thing in common: they are cozy, people discuss with each other vividly and in the background there is either music or some kind of game (football, or something else important). The food comes in huge portions and, at least in the pubs where we like to go, can be described as good. And, as we are already at it: the beer, especially the Irish dark beer, is very good to drink! Yesterday I was in the pub again and it was a mess of English, German and Dutch. In the pub, the main language is mainly English. One of our friends is English and we always speak English with him. My husband and I usually speak Dutch to each other. German/Swiss German was also spoken around us. In such situations I really need to be careful not to get confused in this language chaos. It has happened to me that I spoke German where I should speak English and vice versa! Once the football game starts, I can’t take part in any conversations. Sometimes I even switch off my hearing aids during the game and with speechreading I only get small fractions of a conversation. A challenge Pur Sang, but still worthwhile sometimes. Yesterday was fine and even late. Here in Switzerland, the pubs are allowed to be open late. In London we learned that all pubs and bars close on time at 11 pm. This has its reason, of course, but nevertheless for my terms (in Amsterdam, for example, there is something open at any time!) a bit strange. On the other hand, you generally need a lot of time to get home in London and it’s not wrong if you can start your way back at 11 pm. Normally I would like to go home right after the game, because I am pretty much finished by then. Yesterday we were able to have a pleasant discussion and exchange experiences after the game. And since we hadn’t seen our friend for a long time, there were many interesting things to tell from both sides. So we had a nice evening, despite my “punishment” this morning … I had to be ready for gymnastics at 8.45 am, even though my body was still asleep!